For their fifth album, David Wax Museum are back with a significantly tweaked sound. 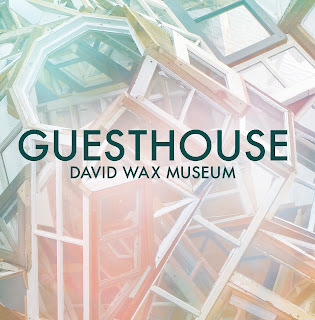 The Mexican influences are mostly hinted at for Guesthouse, and there is a heavy (for David Wax Museum at least) addition of electronic elements. This all works amazingly well. "Dark Night of the Heart" in particular is almost a trip hop track with folk instruments interspersed. 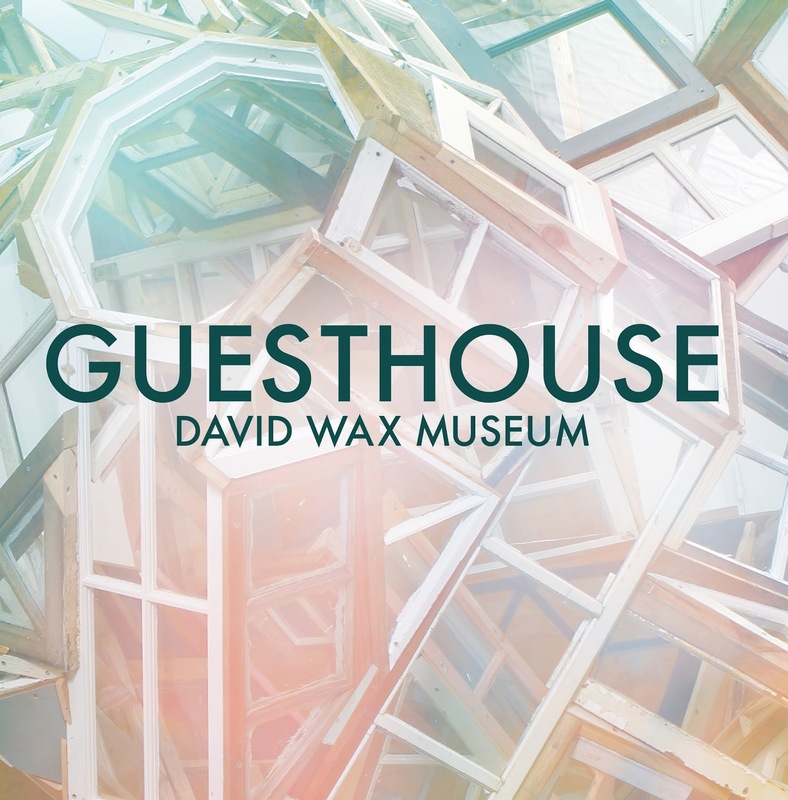 "Guesthouse" might be the song that fits into the David Wax Museum catalog the best. It's quite keyboard heavy, but the style fits into their previous songs where Suz plays the accordion. "Time Will Track Us Down" is one of their loveliest ballads, with just an acoustic guitar and David and Suz harmonizing throughout. They even tackle their parenthood with "Everything Changes." It's a subject that has made some of the greatest songwriters of all time stumble on sappiness, but David Wax Museum turns it into a joyous celebration. For me, the standout track is "Singing to Me." It's a quiet ballad that doubles as an ode to the die hard fan that feels a song at a concert is speaking directly to them. It's entire being is completely infectious, with lines about loving every aspect of a live performance, except for the people in the back talking over the music. With most David Wax Museum albums, there are the instant standout tracks, like "Born With a Broken Heart" or "Colas" that immediately draw you in on first listen with their boisterous energy. Then, as you listen to the album a few dozen times, you start connecting with the quieter, more introspective songs like "When You Are Still" or "Rosamar," and those become your personal favorites. This is an album made virtually of all of those songs. Nothing really jumps out as an instant single, but they will all end up being some of your favorite songs. I also implore you to really listen to Guesthouse. I've spent about a week listening to this album, in the background at work or while doing dishes. When I finally sat down and listened through headphones, I noticed all of these elements I had missed previously, like the matching spoken word vocals behind "Every Time Katie." This is a truly dense record that you owe it to yourself to focus on. Guesthouse is out today. You can get your copy at David Wax Museum's website. Also, please, please, please go see them live. You will not regret it. Brilliant Beast - "Like Dreaming"
David Wax Museum - "Don't Lose Heart"
David Wax Museum - "Forgiveness"
Cross Record - "Steady Waves"
Weezy Ford - "Phantom Lover"
Marlon Williams - "Hello Miss Lonesome"
Pure Beauty - "Panama Hands"